Welcome to African Creations – South Africa’s newest Online Shopping experience! We are an Online South African shopping website with the majority of the products being made locally. Some products advertised will raise funds to assist previously disadvantaged people. We have a comprehensive product list from credible vendors. Whether you are here to do some shopping, hunt for bargains or just to browse, you are at the right place. Shopping for a variety of gifts, including gift vouchers, has never been easier, with African Creations. We offer numerous products in different price ranges - from budget-friendly buys to affordable classics, there is something for everyone. Online shopping has become a preferred means of shopping for many internet users, making it easier and easier to buy that special item. Sellers are able to display their products to potential online shoppers 24 hours a day, 7 days a week and Buyers are then not limited to the normal restricted shopping hours. 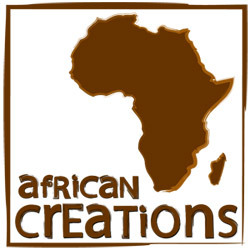 Here at African Creations, we pride ourselves on high quality, unique products and excellent service! We are 100% committed to fast and reliable delivery and free returns within 14 days. Have fun surfing through our website and enjoy shopping with us!